The process of collecting, assembling and curating our work for our 10 year party and new website recently provided the opportunity to revisit and reappraise our projects’ contributions to social and physical value and, ultimately, the creation of Place; the basis of our Design Philosophy. As a collection of work it was interesting to track the progression of this ethos with each successive scheme learning from, and developing on, the successes of its predecessor. Each project contextually unique but infused with ideas and the evolving DNA of our portfolio. Since the inception of our Sydney studio we have found that, as our work is fundamentally driven by this conceptual backbone and contextual response, the experience and insight gained working in the UK is completely relevant and transferable to our developing Australian projects. Conversely the experiences and knowledge being developed in Australia is simultaneously feeding back into our London Studio as the DNA takes on an Antipodean strand. Our work has always been concerned with respecting the historic as trace and memory, representing and juxtaposing it against the contemporary to create a layered richness and complexity that we believe is fundamental in transforming space to place. As a result we were recently introduced to an Australian Client as Architects who “DO HERITAGE”. Although an Antipodean translation of “Conservation,” the dictionary defines “Heritage” as “Valued Objects and Qualities such as Historic Buildings and Cultural Traditions that have passed down from previous generations,” and “Denoting or relating to things of special architectural, historical, or natural value that are preserved for the nation. As a term it imbues both the social and the physical, somehow “DOING HERITAGE” seems much richer and more essential than the more stylistic “CONSERVATION” undertaken in the UK. In Sydney history is less selective and its preservation and precise restoration is secondary to the recording of memory whilst facilitating reuse and adaption to allow new “HERITAGE” to evolve. This is particularly recognisable in the development of Ballast Point Park, the site of Aboriginal settlement, Historic Dockyards, Ballast Quarry and most recently Oil Storage. Sydney’s main parklands are, in complete contradiction to London, developed on the highest value real estate of the harbour side, often as a result of high profile adversarial compulsory purchase. The effect of this publicly funded park creation ultimately preserves “value for the nation” whilst facilitating the exchange and meeting points needed for communities and cultures to form and “HERITAGE” to evolve. 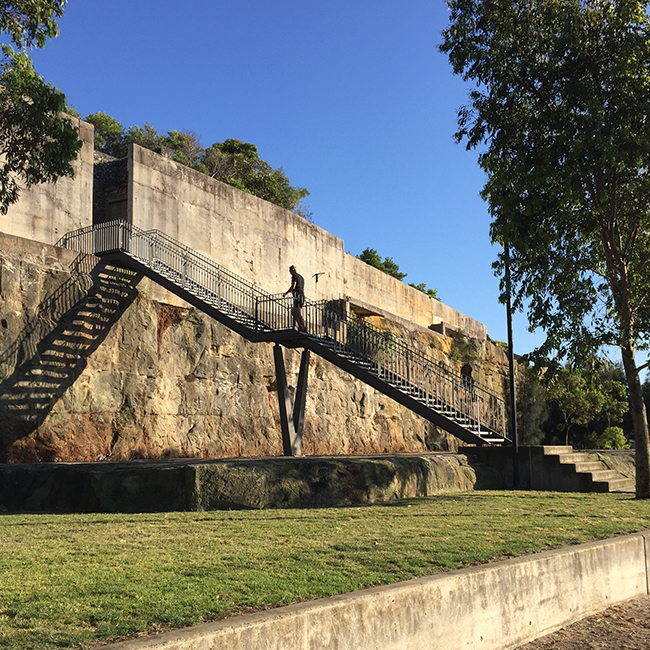 Ballast Point Park by McGregor Coxall and CHROFI takes “DOING HERITAGE” onto another level, providing a case study which closely resonates with our own philosophy and approach. 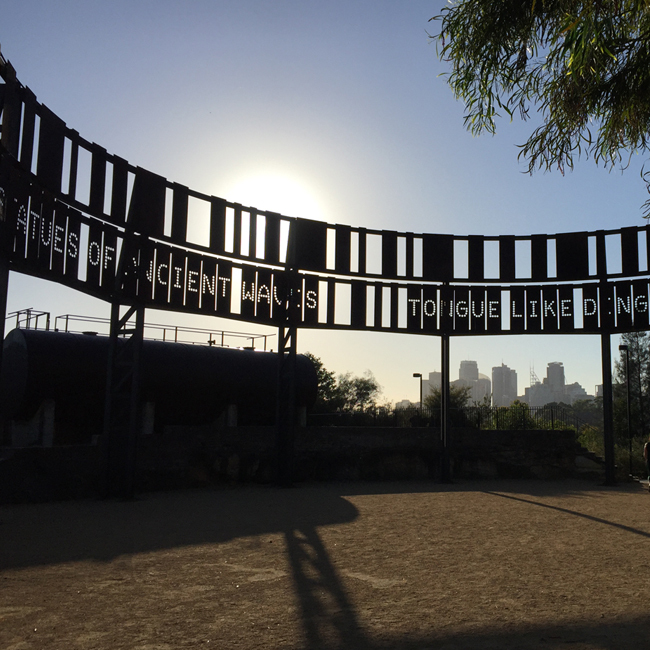 It was bought by the Sydney Harbour and Foreshore Authority after a significant political and legal battle in 2005 with the finished park opening in 2009. 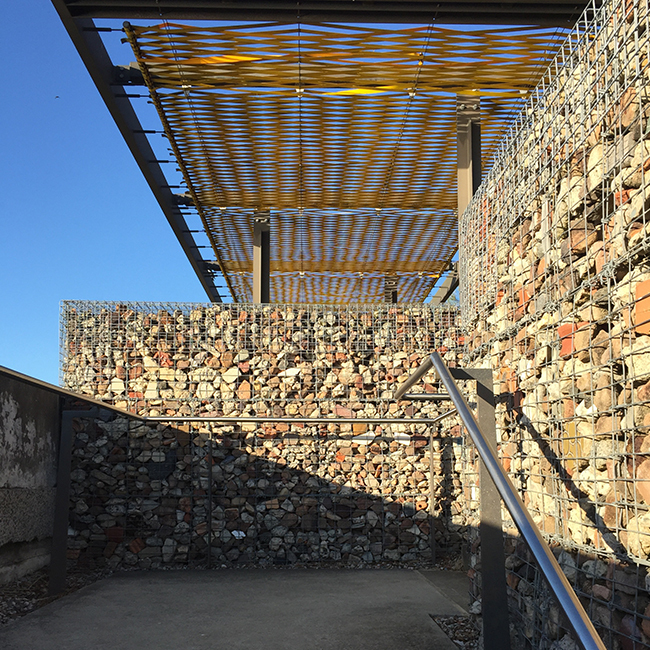 The design references, layers and responds to the site’s historic context through juxtaposing the existing cliff faces with contemporary “ballast” filled gabions, concrete and steel additions. Artefacts from the sites imbued “HERITAGE” have been beautifully incorporated into the language of the park, celebrating the memory of a relatively recent industrial past, regardless of its apparent banality or scale. 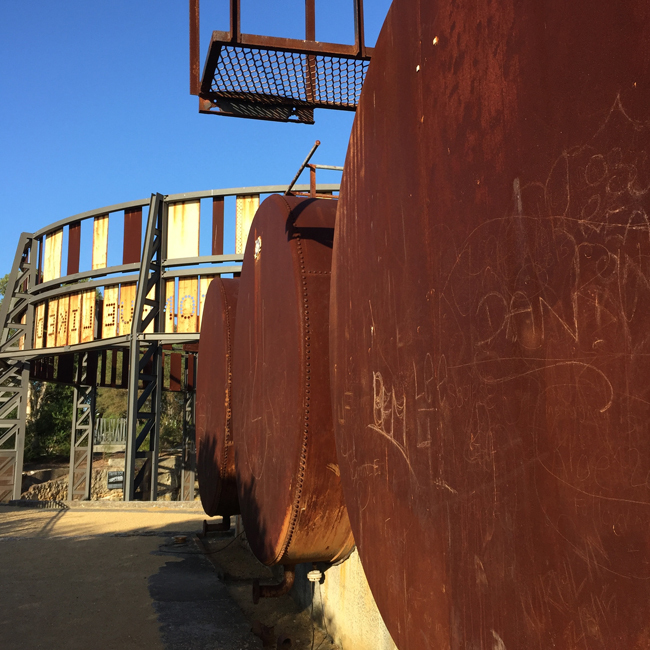 The skeletons and bases of oil silos are retained and reused as large scale sculptures, work out benches and meeting tables for the endless fitness and business groups that use the parks. 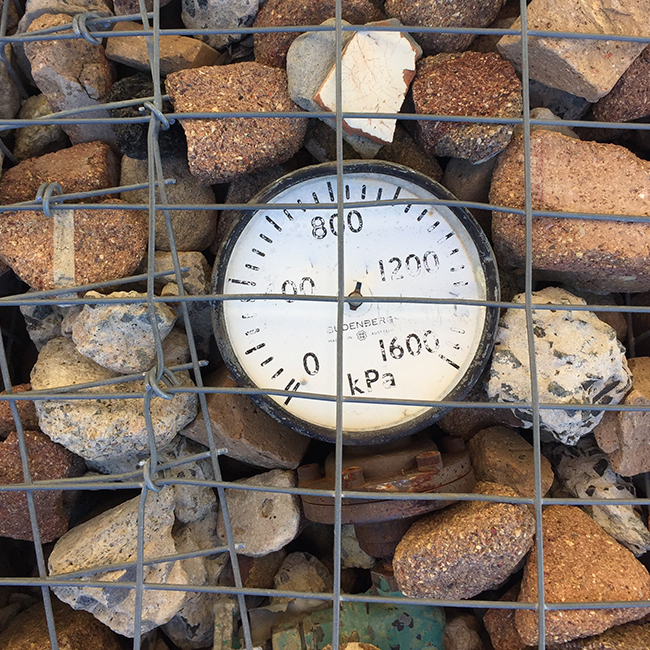 These however are supplemented by the inclusion of very personal and micro moments with the addition of small scale artefacts within the rock mix fill of the gabion walls or the ancient striations of early Aboriginal marks. 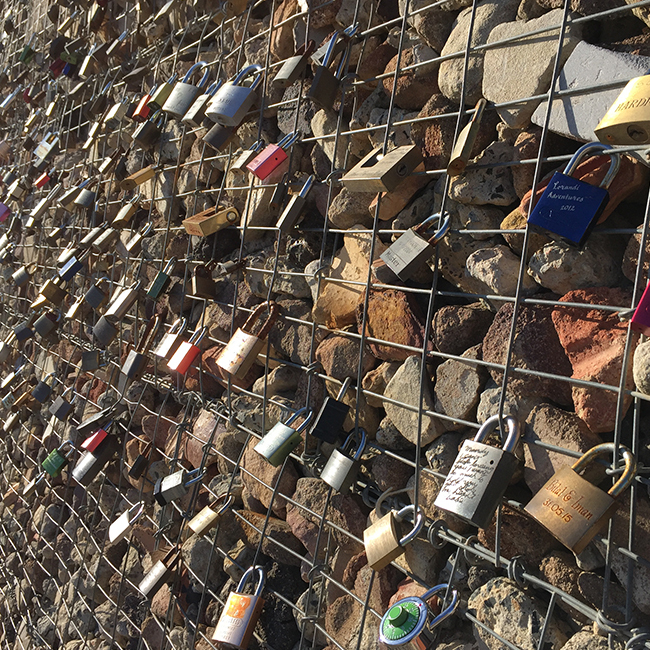 The new communities forming within the park are adding further layers to these memories through the addition of multi-coloured padlocks engraved as love letters to current and past loves, each gradually rusting into the gabian cages and becoming park. Each layer is treated with the same level of importance as its predecessors ultimately amalgamating to form Place and becoming indelibly part of the city. As our projects and their ability to influence has grown the position of the shared democratic “public” space has become even more central to the ethos of creating Place. We continue to explore and experiment with compositions and scales of intervention to encourage communities to form. Learning from Sydney however it is clear that a wider strategic view and political shift is required to ensure that we “DO HERITAGE” better.